15-piece tin set with a cupcake teapot! Includes 4 cupcake teacups, 4 saucers, 4 plates and a serving tray. Delicious! For pretend play only. Grades PRE-K and up. 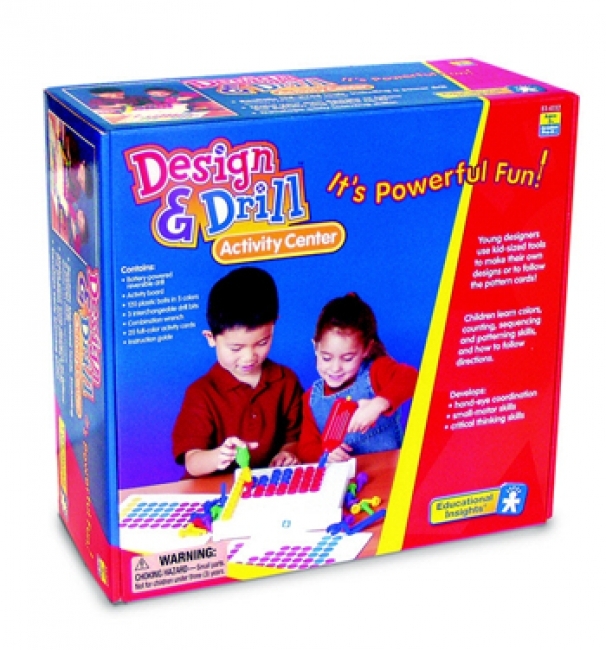 Children will love using the Design & Drill Activity Center to create their own designs, or following the sets colorful activity cards to make pictures and patterns from trains and boats to flowers and fish. 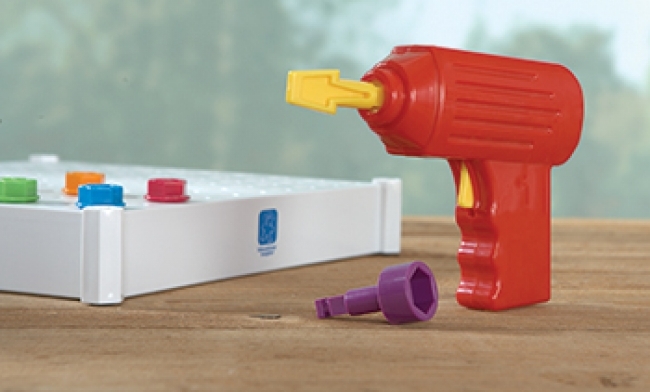 Just snap any one of the drill bits into the reversible power drill or the screwdriver handle, grab a handful of big bolts, and turn on the learning fun. Twenty colorful activity cards (10 make-a-picture cards and 9 follow-the-pattern cards) provide young learners with tasks from simple to challenging. Complete set includes one reproducible blank grid for make-your-own card fun. Ratchet up the fun with a working socket wrench with real ratchet sound and action! Kids practice their building skills as they use their wrench to complete a robot, race car, boat, and rocket. This activity set includes 30 colorful bolts, socket wrench, and 4 mini fun-shaped activity boards for hours of independent, creative play. 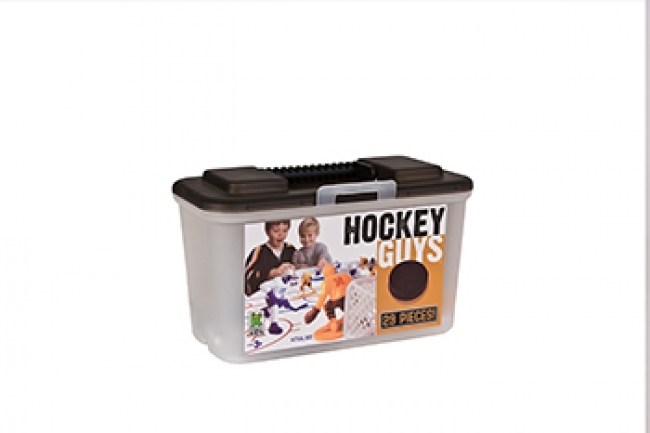 Hockey Guys ® is a boxed set of 2"sports action figures that is designed to encourage creative and imaginary play in children ages 3-8 years. 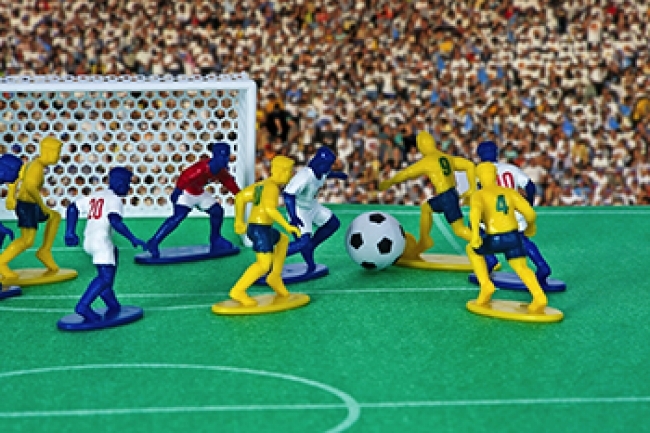 With no set rules or directions, children are inspired to play with these sports figures they way they have been playing with action figures for years . Children control all the action, they can move the players when they want, where they want. Kids can add to the excitement and knock the included puck into the goals using the Hockey players. They can even hit the puck against the included rink wall "boards" for even more action. Today, with television and computer games dominating a child's independent play choices, Hockey Guys® offers children another option. Playing imaginatively with action figures is something that both parents and grandparents can get involved in with their children or grandchildren. There are no rules or directions to follow so anything works! 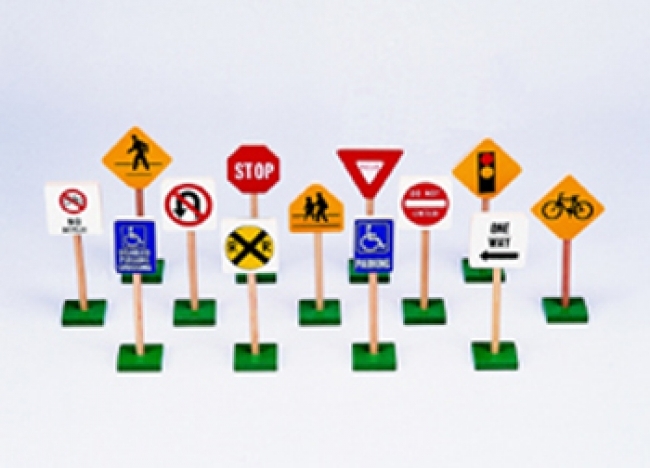 Kids of all ages can find a way to play with these figures! Coaches use these sets as visual training tools for their young players. Winner of the National Parenting Center Seal of Approval, 2007. Playing school is fun and prepares kids for learning. 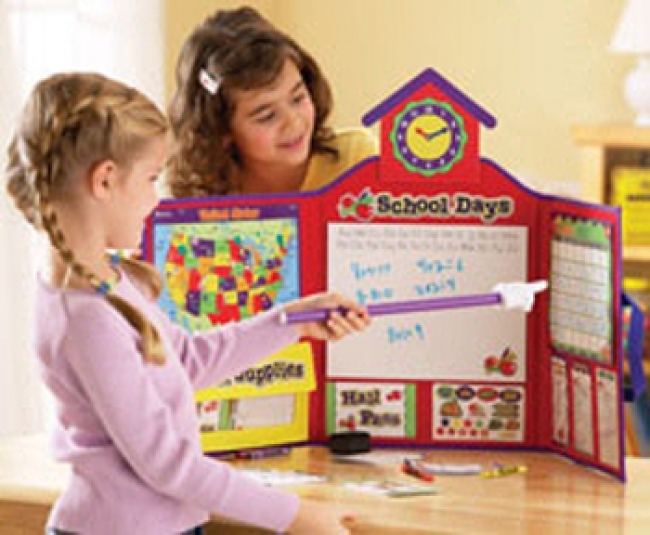 Here's everything you need for the ultimate pretend classroom: grade book, stickers, hall passes, clock, bell, dry erase board, markers, calendar, map, pointer and much more in a convenient 16" x 38" tri-fold carry board. Made of nylon with hook and loop fastener pockets, this play set will give kids hours of fun! 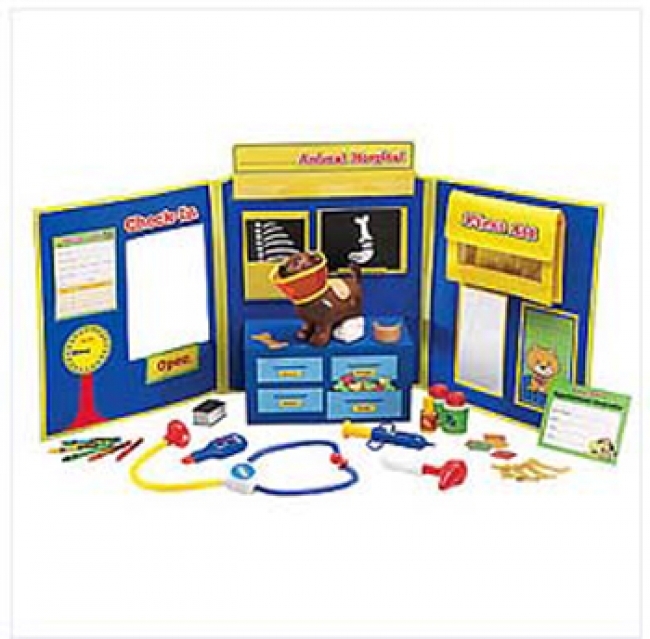 This 11-piece assortment of school supplies restocks your child's Pretend & Play® School Set with all of the printed items they need to continue playing school! 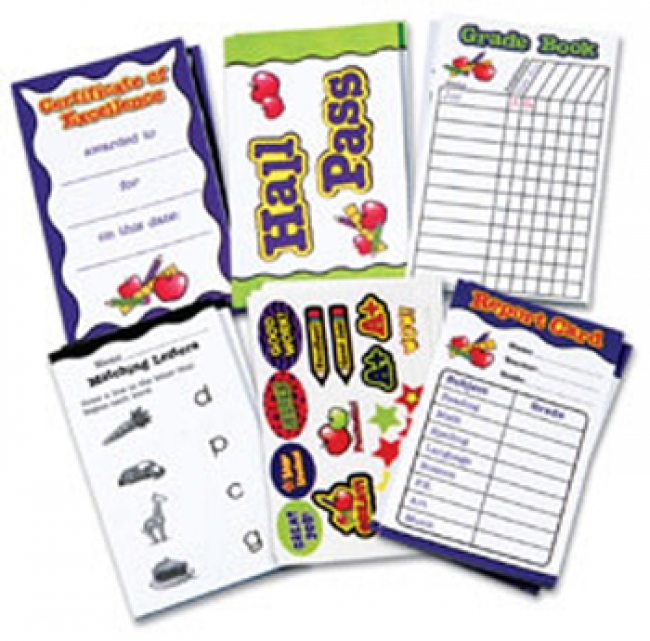 Includes 2 pads (25 sheets per pad) of Hall Passes, Certificates of Excellence, Report Cards, Grade Books, Worksheets for Math/Spelling and 1 set (10 sheets) of stickers. It's fun to write out checks! Kids fill out pretend checks, make payments and calculate their balance as they learn about check writing. Calculator is battery-powered and checks are actual size for even more realistic play. Includes 25 checks, check register, pen, calculator, deposit slips and instruction card. Let's go camping! Unique battery-powered pretend stove and lantern make your campsite almost like the real thing (2 AA batteries for each, not included). 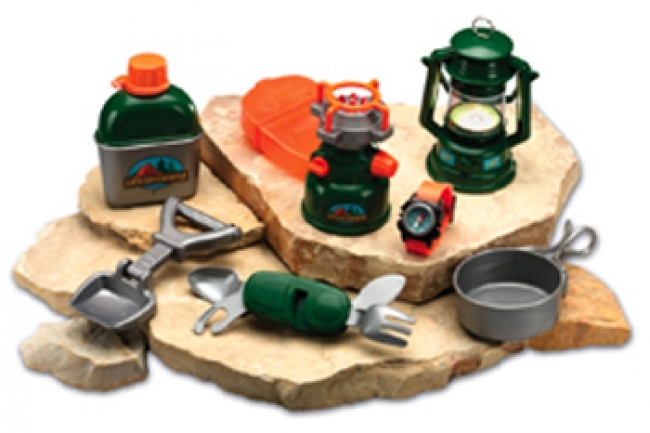 Set also includes: water bottle, cup, pan, shovel, first aid kit, compass watch, and utensil set. For students who love animals, this animal hospital is just what the doctor ordered. Role play encourages students to practice oral language and writing skills while learning about the responsibilities of caring for pets. Sturdy, tri-fold board with built-in storage pockets allows quick and secure clean-up. Includes a brown puppy to care for. 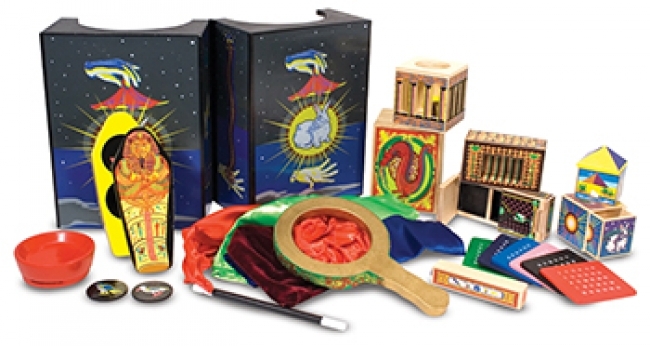 Comprehensive set features everything a veterinarian needs to keep pets healthy and happy. Set measures 38"L x 16"H when open.